Will this work? I asked them a while back and they said I'll probably just need the 7" version. Aside from that being questionable (it costs more), will the wiring work out? I'm not sure if the interconnects are the same or not, I don't own a System 80 game to check. Yes. The interconnect harness is the same across 80, 80a, and 80b. If you have an original one, it's highly recommended to install the two additional jumpers (for ground and 5v). 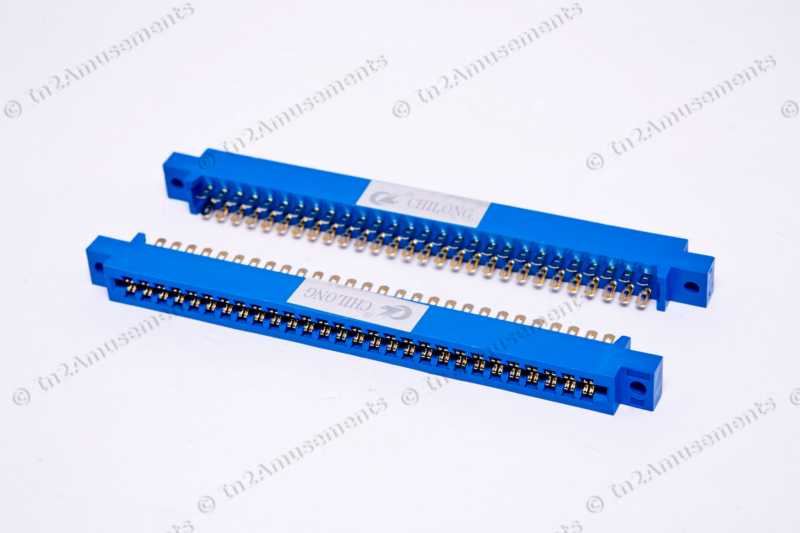 However, the bifrucated pins are incredibly difficult to find now, so some people resort to stealing them from a spare interconnect harness. However, first try cleaning the edge connectors with a pink rubber eraser if you're having trouble with your game. That can resolve a lot of connector-based problems. So far, repinning the entire connector hasn't been necessary for the games I've worked on. Thanks guys. Anybody happen to know what size I need? If not, I'll just go check, the machine is just in a picky spot right now so I'd really like to only open it up once, which is when I have to fix it! Substitute them with JAMMA connectors when necessary, maybe? Anybody happen to know what size I need? Yep. There's even one with the matching number of pins (28 pins on each row). The only downside is that you have to solder, rather than crimp. The length of the wire from that kit comes in 3 different sizes. I could just buy the longest one but I'm cheap. I want to make sure I need it. I'll go measure mine today if I can find my measuring tape. Can't say I've noticed them being more than 3" or so on the games I've looked at or worked on. Here's a photo of a devil's dare backbox. I kind of think 3" would be enough, but maybe go 5" if you're not sure. On Black Hole and Spirit at least, I think the MPU is mounted higher to fit the motor in for the disc?